Ever since our foundation stone has been laid down, we have been trading and exporting various types of Anti Asthmatic Drugs. These medicines are obtained from the most trusted vendors of the market, who process the same using high-grade ingredients and composites. Clients can avail Zordox 400 mg Tab, Foracort 200 Inhaler, Serobid Rotacaps, Aerocort 200 Rotacaps and Budenase AQ Nasal Spray medicines from us. Doxicip Capsule is a beta-lactam antibiotic that has been used extensively to treat bacterial infections since 1961. Until the introduction of ampicillin by the British company, Beecham, penicillin therapies had only been effective against Gram-positive organisms such as Staphylococci and Streptococci. 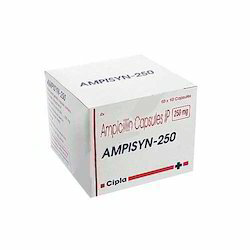 Ampicillin (originally branded as 'Penbritin') also demonstrated activity against Gram-negative organisms such as H. influenzae, coliforms and Proteus spp. Ampicillin was the first of a number of so-called broad spectrum penicillins subsequently introduced by Beecham. Ampicillin is part of the aminopenicillin family and is roughly equivalent to its successor, in terms of spectrum and level of activity. It can sometimes result in non-allergic reactions that range in severity from a rash (e.g., patients with mononucleosis) to potentially lethal anaphylaxis. However, as with other penicillin drugs, it is relatively non-toxic and adverse effects of a serious nature are encountered only infrequent). Being one of the distinguished traders and exporters, we are engaged in offering Aerocort 200 Rotacaps. The offered medicines are prepared from quality grade ingredients at our vendor’s place. 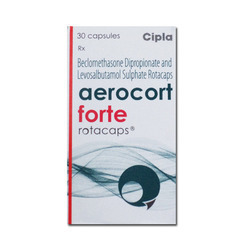 Aerocort is indicated for the treatment of asthma after the need of bronchodilator therapy and inhaled has been determined. These capsules are vastly applauded for their accurate composition. 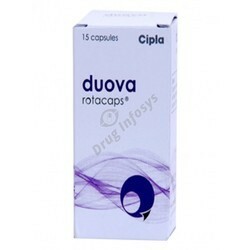 A Cipla made Doxofylline Tablets is offered by us to our most valuable patrons. 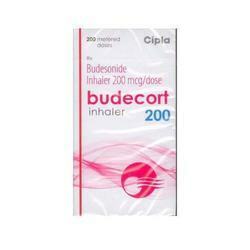 An ideal bronchodilator, this medicine is prescribed to the patients suffering from symptoms of asthma, bronchitis and emphysema. Furthermore, to ensure side effect free composition of these medicines, we test these on strict ground at our end. 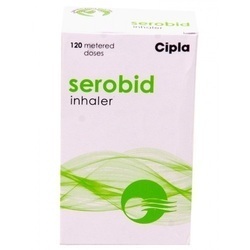 This Serobid Inhalers provided by us in the market is used for the purpose of providing comfort and treating asthma patients and people suffering from lung diseases. Owing to the quality ingredients used in correct composition, it is one of the most effective drugs. Manufactured by reliable vendors, in compliance with set industrial norms, its standard is always maintained. 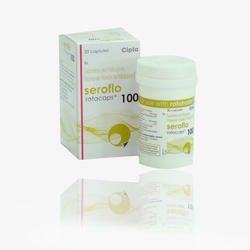 We are one of the prominent exporters and traders of Seroflo 100 Rotacaps that are vastly demanded for their accurate composition. Our vendors make use of quality grade ingredients for preparing these effective capsules. The offered medication finds a vast application for treating asthma and chronic obstructive pulmonary disease (COPD). Our customers can avail these capsules at reasonable rates. 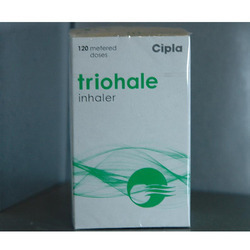 In order to provide maximum satisfaction to our clients, we procure this Ciclohale Inhalers from some of the most reputed vendors. Manufactured by them in a hygienic environment using quality ingredients and modern machines, its demand in the market is quite high. 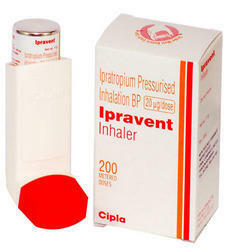 Owing to its effectiveness, the offered inhaler is one of the best options available for asthma patients. 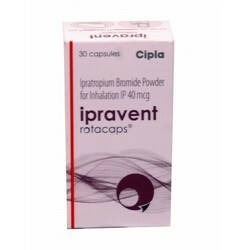 Tioriva® Bexicap (Dry Powder Inhaler) capsule contains Tiotropium Bromide Monohydrate BP as the active ingredient which is a long-acting, antimuscarinic agent, which is often referred to as an anticholinergic. Tioriva® is indicated as maintenance treatment of bronchospasm associated with chronic obstructive pulmonary disease (COPD), including chronic bronchitis and emphysema. Our company is one of the celebrated exporters and traders of Serobid Rotacaps, a bronchodilator medication prescribed for asthma and COPD. Manufactured using optimum quality ingredients, the offered capsules are widely demanded for their accurate composition and longer shelf life. 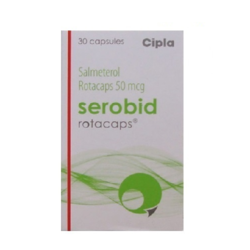 Serobid rotacaps are advised to be consumed as per the doctor’s recommendation. 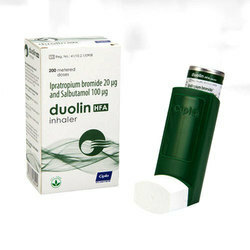 Rajdhani Exports is considered a trusted name of the industry that offers hygienically prepared and packed Duolin Inhalers. 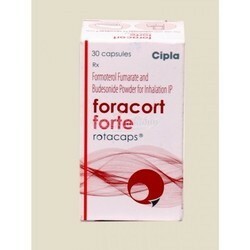 It is used for the treatment of bronchospasm (contraction of the airways). 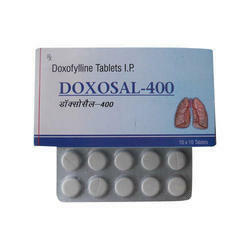 It comprises of two bronchodilators that are used for curing asthma and chronic obstructive pulmonary disease (COPD). The offered inhaler is widely asked for its effective and quick results. 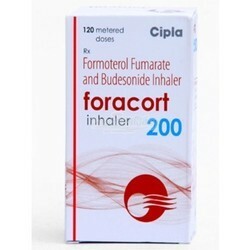 Being one of the leading providers of this Foracort 200 Inhalers, we never compromise with its quality. Thus, we procure this inhaler from vendors, who manufacture these in a hygienic environment. The product’s high efficiency and effectiveness depends on the accurate composition of the finest ingredients available. 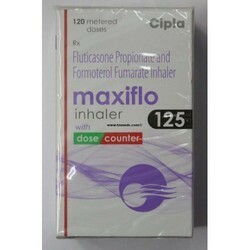 Further, to provide maximum satisfaction to our clients, we offer this inhaler at the best price possible. 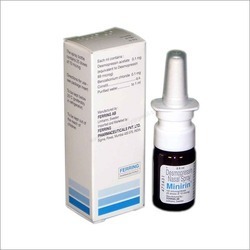 We are dedicatedly engaged in wholesaling, trading, retailing and exporting Desmopressin Nasal Sprays. It is a synthetic analogue of the natural hormone arginine vasopressin. These are used to control the symptoms of a certain type of diabetes insipidus. Also, it is used to control excessive thirst and the passage of an abnormally large amount of urine that may occur after a head injury or after certain types of surgery. The drug preparation containing Salmeterol is aneffective medication that provides symptomatic relief and prevents Asthma, Chronic bronchitis and chronic disorders of pulmonary glands. 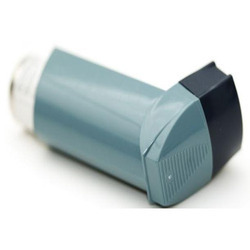 This drug is used for controlling and preventing the symptoms caused by asthma like wheezing and shortness of breath. Fluticasone is a corticosteroid while Salmeterol is a long acting beta antagonist. 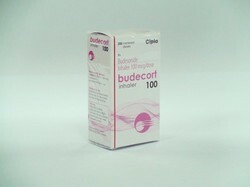 Clients can avail from us Budecort 100 Inhalers, which is sourced from genuine suppliers of Cipla. A leading brand in pharmaceutical industry, Cipla, processes this entire range especially for the patients of Asthama. Further, before final dispatch, we check these inhalers for their tamper proof packaging so as to ensure their safe transit.